Earlier this year, a 9 hectare area of land in Matumbo was replanted. 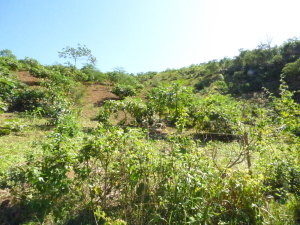 This land was acquired through fundraising by our invaluable partners, the World Land Trust and a total of 15,000 native trees were planted here. A year on and the trees are establishing themselves, as shown in this photograph. This brings the total number of trees planted by REGUA to date up to 350,000! Work will commence shortly on the next piece of land to be replanted. The difficult task of preparing the soil by scorching the non-native African grass has started, ready for the tree saplings to be planted towards the end of the year. Great news! A US based company, Treeshirts have started to donate US$5 to REGUA for every `TreeShirt’ that they sell. 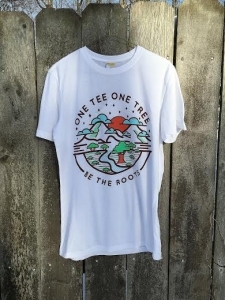 That’s one tree planted for every shirt sold! Treat yourself or buy one as a present. The t shirts can be shipped worldwide. They are made from sustainable fibres of bamboo, hemp and organic cotton. By proudly wearing your TreeShirt you will be raising awareness about deforestation and encourage others to learn more about the importance of saving our rainforests.